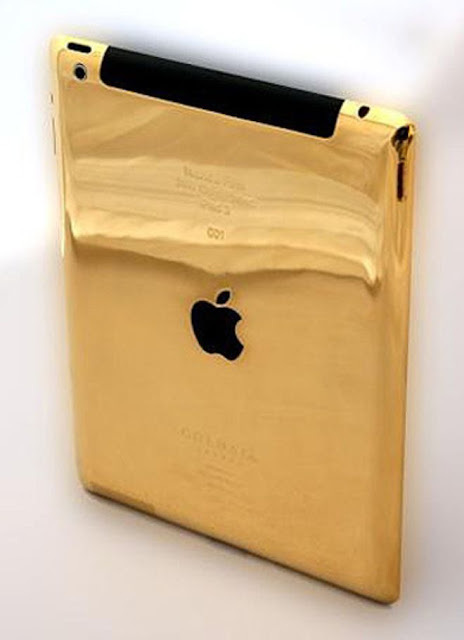 Gold & Co, a company based in London and Dubai, has produced the first iPad 3 which is plated with 24-carat gold. The first gold model will be presented in the largest mall in Dubai before being offered for sale, and all income from sales will go to charity, says T3.com. Only 250 such models will be available on sale, so you must hurry if you want to buy one. The prices, as expected, are high. The standard regular iPad, as we all know, is priced at $800 for the 64GB and 4G WiFi model. The golden version will cost you $4,599. Neat move by Gold & Co.! It looks great.I would buy it if I had the money.